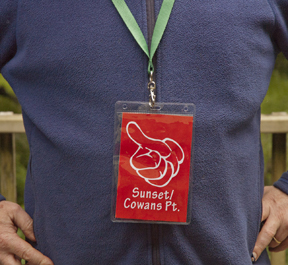 Whether you are offering a ride or looking for a ride, wear a tag on the ferry and around Bowen that lets others know where you are going. 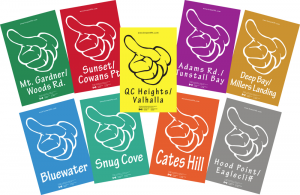 Tag colours correspond to the 9 destination zones on Bowen Island. Drivers can write in more specific details about where they are going. 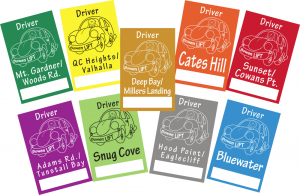 Driver and rider tags are available at popular locations around Bowen Island. To make ride-sharing a friendly, dependable, everyday transportation option for Bowen Islanders, and to reduce car use on Bowen.